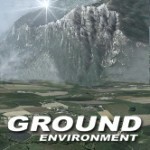 The goal of Ground Environment is to achieve the most realistic ground textures for Flight Simulator. We are releasing this software as an all-in-one package, for one reasonable price. No paying per season or per region. Ground Environment 2006 will work for all world regions equally well. Along with three highly detailed photorealistic airports (KPDX Portland International, KVUO Pearson Field, KHIO Portland Hillsboro) and broad photoscenery coverage, this product includes a high resolution 18m. mesh, reworked coastlines and a custom landclass/waterclass. FlightZone 02: Portland is an integrated approach, recreating a complete flying environment in which both GA and commercial pilots can enjoy flying. The scenery is built in concentric areas, each one adjusted to a level of detail that is in relation with the flying experience. FlightZone is a new breed of Microsoft Flight Simulator add-on. It is a photoscenery product and it is also a detailed multiple airports scenery. From North Central to Quonset point and from the Scituate reservoir to Bristol. All "5" seasons and night, full autogen. Summer photorealistic coverage of Block Island is also included as a "bonus". Flight One Software, in cooperation with Scenery Solutions, have created a Flight Simulator 2004 terrain upgrade package using commercial data licensed from companies like Navteq, TeleAtlas, and DMTI Spatial, that will bring your flight experience to new heights like no other terrain scenery add-on has to date. Ultimate Terrain: Canada/Alaska contains nearly every road in the Canada/Alaska area, enhanced railroads, new night lighting environment unlike anything else on the market, corrected Oceanic coastlines, accurate landclass textures, plus much more. Flight One Software, in cooperation with Scenery Solutions, has created their second Flight Simulator 2004 terrain upgrade package using commercial data licensed from companies like Navteq, TeleAtlas, and DMTI Spatial, that will bring your flight experience to new heights like no other terrain scenery add-on has to date. Ultimate Terrain: USA contains nearly every road in the United States, enhanced railroads, new night lighting environment unlike anything else on the market, corrected Oceanic coastlines, accurate landclass textures, plus much more. Tibet Flight 2004 is a complete "Environment" Package for Tibet that contains enhanced Terrain Mesh %26 Airports of the Tibet Area. Includes 12 airports that are not included in the default FS2004 scenery. AI aircraft are also included! Flight One Software, in cooperation with Peter Wilding, has developed a new add-on utility that takes the flight environment of Flight Simulator 2004 to new heights. Flight Environment adds beautifully rendered clouds, all new water environments, and a randomizer that can create 170,000 different combinations of clouds, water, and sky, so each flight is a new and refreshing experience. "Islands of the West Indies" offers hundreds of hours of entertainment as you work your way south from Hispaniola to the shores of South America. Tropical trade winds, coral reefs, palm fringed beaches and warm friendly people await you as you fly low and slow exploring this paradise in Flight Simulator 2004. Flight One Software announces another add-on to further enhance your virtual flight experiences in Flight Simulator 2004. FS Water was developed to provide users with a new set of soothing water/sky textures that will help brighten up any virtual flight. Flight One Software, in cooperation with Scenery Solutions, has released the 3rd product in their highly acclaimed Ultimate Terrain series. Using commercial data licensed from TeleAtlas Europe, in combination with Scenery Solutions own digital processing, Ultimate Terrain Europe is the biggest and best Ultimate Terrain release yet. The helicopter is easy to fly (as the real one is), you will be in the air in minutes. But can you master flying this helicoptor for FSX? AirWrench is a user-friendly software tool for creating flight dynamics for Microsoft Flight Simulator. Eaglesoft Extreme Corporate Aviation Series and Eaglesoft Extreme General Aviation Series for the discerning Simulation Pilot!